Planning and other matters raised by Bree in January. Fine Gael T.D. for Sligo – Leitrim, Tony McLoughlin has spoken of his disappointment over the loss of upwards of €150,000 in government funding for improvement works to the pier at Rosses Point. “In February, I met with many members of the local community in Rosses Point and also businesses that use the pier on a daily basis in order to discuss the structural problems with the pier. “On foot of these meetings, I subsequently met with officials in Sligo County Council in order to discuss with them the urgent need for improvements to be made to the pier. At these meetings I was advised that this project was priority number one for Sligo County Council. “I subsequently brought this issue to the Minister for Agriculture, Food and the Marine, Simon Coveney T.D. who advised me that a capital investment program for marine infrastructure had been just announced and that he would take my representations on the Rosses Point project into consideration when making a final decision. “I continued to lobby the Minister hard on behalf of the people of Rosses Point for this project over the following weeks and I had eventually been assured by Minister Coveney that Departmental funding had been identified for the project. “However, much to my utter dismay, on the eve of the announcement of the scheme, I received a phone call from the Department to advise me that this funding could not be allocated to Sligo County Council, due to the project in Rosses Point not having the required planning permission. “To miss out on this funding, at this stage, is very disappointing, especially after working very hard to have it identified by the Minister. The deputy said the 2015 planned works to the pier was worth between €120,000 and €150,000. 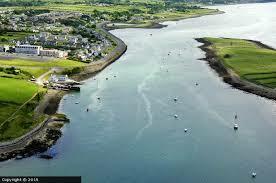 Planning and other issues surrounding the Rosses Point pier were raised by Cllr. 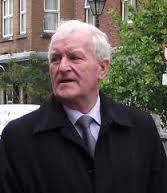 Declan Bree in a notice of motion seconded by Cllr. Sean MacManus as far back as last January. Bree asked for a report concerning “any outstanding environmental, planning, access or licensing matters that needed to be addressed,” and if the Council received any indication from the Department if grant aid would be provided for the project in 2015. According to minutes of the meeting, Director of Services, Tom Kilfeather told him that “the various works planned for Rosses Point Harbour Enhancement, lie partially in an SAC. It has been concluded that the works cannot be ‘screened out’ and therefore a planning application has to be made to An Bord Pleanála. Various environmental reports were drafted in 2014 but due to alterations in procedures the submission has been delayed.It is now planned to have the planning application submitted to the Bord within the next 5 weeks.